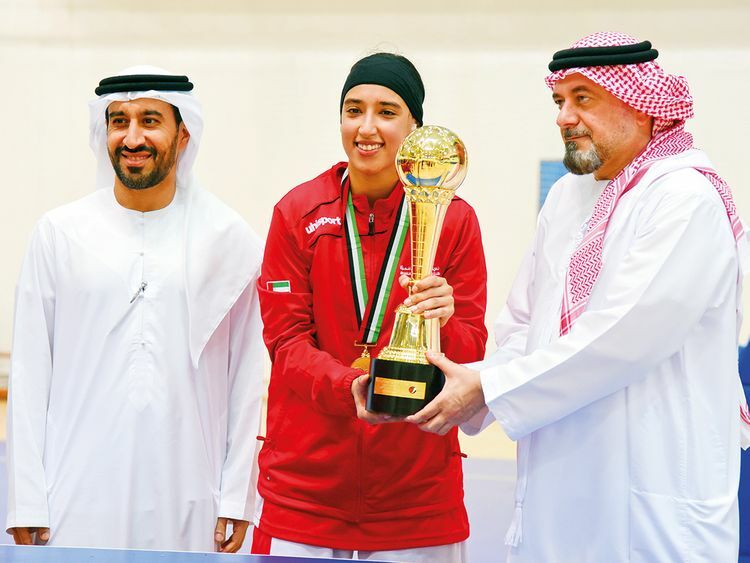 Sharjah: The Sharjah Women’s Sports Club basketball team clinched the title in the 3x3 Basketball held under the auspices of the UAE Basketball Association at the Al Nasr Club. The competition saw the five Emirati club teams contesting in a round-robin format. At the end of the four games per team, the Sharjah Women’s Sports Club side represented by Amal Bin Haider, Al Yaziya Sultan, Sara Jumaa and Suhaila Abbas, accumulated a total of 61 points leaving hosts Al Nasr in second place, while Shabab Al Ahli Dubai took third. The Sharjah Women Sports Club operates under Sharjah Women’s Sport that seeks to highlight achievements by Emirati women at regional and international forums.